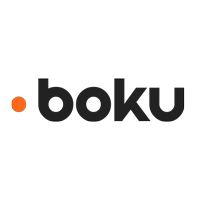 Boku Inc (LON:BOKU) Chief Executive Officer Jon Prideaux caught up with DirectorsTalk for an exclusive interview to discuss their recent positive trading update. Q1: Jon, you published a positive trading update yesterday, can you talk us through the KPI’s? A1: We’re pretty pleased to be able to report positive movement in all of our KPI’s. So, specifically we were able to report that in the first half this year we had been able to increase the total amount spent through the Boku platform by 153% to be more than $1.5 billion and just to put that into perspective, we did $1.7 billion worth of transactions in the whole of 2017, in the first half of 2018 we processed $1.5 billion worth of volume. The figure for which I am most proud, and the thing that our customers really hire us to do is to help them acquire new paying users, and so to have 10.3 million monthly active users, which is more than doubling the figure of the equivalent month last year at 4.7 million, 10.3 million of monthly active users is great. That follows on in fact from the figure that we reported of 9.2 million in March and in fact, 8.1 million which was the figures in December so bit of a trend going on which we think is great and pointing up and to the right. Q2: You talk about making sensible investments in future growth, can you tell us what sort of things that Boku are actually looking at? A2: Yes, in general terms, we’ll make more specific announcements in due course. Clearly, in the first instance, it’s about product innovation in our existing business, a lot of what we’ve been able to achieve in our business has been from making the connections and perform well. That means applying big data techniques in order to be able to optimise connections to make sure they work better and that’s been one of the reasons why customers have been retained better within our platform on average they send more when the come over onto our technology. In addition, I was able to say that we have been looking at areas of exploiting some of the connections we have with carriers for new applications and particularly in mobile identity. Only about 5% of global e-commerce is to do with digitally-distributed goods and we have, as you know, business that we do with Apple Inc. (NASDAQ:AAPL), Microsoft Corporation (NASDAQ:MSFT), Sony Corp (ADR) (NYSE:SNE), Spotify Technology SA (NYSE:SPOT), Netflix, Inc (NASDAQ:NFLX), Facebook, Inc. (NASDAQ:FB) and Google (Alphabet Inc – NASDAQ:GOOGL) and so on. It’s great to have all those customers but I also have my eye on the other 95% of e-commerce that is increasingly taking place on mobile phones where the understanding is that you’re connecting to the right phone and that phone hasn’t been hacked or that the details that the consumer is providing are the right ones. That is the benefit that can be applied to the other 95% of e-commerce that isn’t taking place for digital commerce so that’s the area where we’re making investments and trying to develop new products. Q3: You mentioned earlier your mobile identity offering, can you talk us through what you’re actually focussing on here? A3: As I say, only in general terms, we’ll make announcements when we have customers that we are able to talk about. Broadly speaking, there are problems of trust, people set up fake accounts or people are abusing trial periods or there is advertising fraud taking place and whether it’s providers seeking to prevent people abusing trial periods and getting advantage of sign-up benefits or even just simply defrauding on an ad network, those are all places to which our mobile identity technology can be applied. I really can’t say a great deal more than that at this stage, when we do have a specific customer to announce then we will do so. Q4: You looked to have had a very positive first off, is Boku positioned well for future growth would you say? A4: I would say so. We’ve got a number of motors that drive our growth, one is that we’re fortunate enough to operate for the vast majority of our business in this area of digitally-distributed content and there’s a lot of secular trends therefore that drive our growth. People don’t buy DVD’s or CD’s anymore, they listen to music on streaming services or they watch films on streaming as well, people are increasingly going towards app stores to be able to get their entertainment, music and video needs met. We have all the key customers there so there’s a baseline level of growth which is reckoned to be doubled digit CAGR as a tailwind for us. Couple that with the fact that most of the customers we work with have really only started the maximum amount of deployment they could have, and you can see that we can certainly add new carriers and new connections as a second source of growth. Thirdly, each of those connections, once we activate a new connection, it takes a while for consumers to discover it, it’s not like just because a new carrier is put live on one of our merchants, everyone on that carrier who is a subscriber starts to purchase Spotify or to make purchases through apps, that’s something that is gradually discovered over time. That built-in growth or maturity curve last around a couple of years so we have good length in the future of growth, underlying market growth, growth from distribution, growth from maturity within each new carrier we put out. It gives us real confidence as we look to the future that we can continue to grow our business and our metrics in much the same way as we’ve been able to report here. Click BOKU for the full archive.